© Robert McFarlane. Photographed at Bolivar Flats Shorebird Sanctuary. Notes by Richard Gibbons: The Peregrine Falcon is a large raptor with bluish-gray body feathers and a dark face that varies from a single stripe to a full hood. 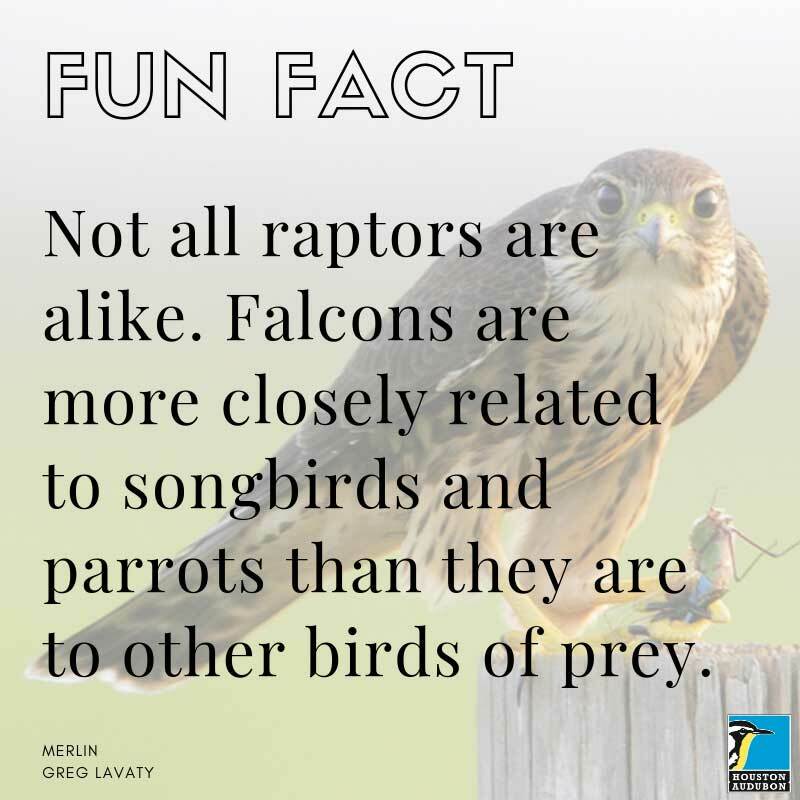 Falcons are distinguished from other raptors by their sharp pointed wings and faster and more frequent wing beats in flight. Since almost being eradicated from eastern North America from pesticide poisoning in the mid-20th century, Peregrine Falcons have become once again numerous across the U.S. thanks to focused recovery efforts. 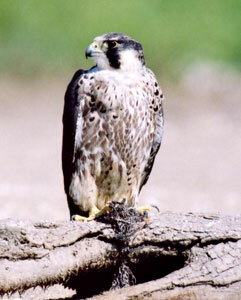 Peregrine Falcons mostly hunt by diving for small birds found in large open areas, namely beaches. There are almost 2,000 species of birds world-wide that have been documented as prey for Peregrine Falcons. These birds are built for speed, Peregrine Falcons will fly to heights of up to 3000 ft then close their wings and dive down toward their prey at startling speeds, this behavior is called “stooping”. Peregrine stoops have been clocked in at a max speed of 242 mph, making them the fastest animal on planet Earth! Typically Peregrine Falcons nest on tall rocky cliffs. Males make several small scrapes along the cliff face and the female chooses one of the scrapes to be the nest, no nest lining or further nest building occurs before the eggs are laid. The incubation period is 29-32 days and nests have 2-5 eggs. Peregrines are also well known for nesting on structures such as bridges, buildings, or cell towers. There is even a small population of Peregrine Falcons that lives and breeds year-round on the buildings of New York City. Peregrine Falcons are one of the most widespread birds on the planet, occurring on every continent except Antarctica. They breed in the Western U.S. and spend their winters all along the Gulf and Atlantic coasts. Come to our Bolivar Flats Sanctuary and look for these magnificent predators! If you see hundreds of shorebirds flush all at once, look around for a Peregrine Falcon hunting in the area.